The holidays are coming soon! As a Direct Seller or Network Marketer, October, November and December are the biggest selling months of the year. 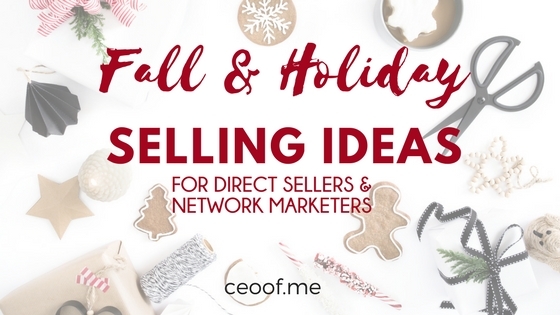 In this training, I am sharing several fall and holiday selling ideas and tips for direct sellers to help you increase your sales, get more party bookings and recruit more team members during the holiday selling season. This time of year is perfect for you to offer some unique and different ways for your customers to engage with you.. Being creative and offering different shopping and gift ideas can help you have a great final fourth quarter of the year and finish the year out strong. Doing that will help you go into January full of momentum ready to rock the new year! You will want to do as much as you can in October and November and the first couple of weeks of December. After mid December, unless you have products on hand, it may be too late to order and have items ship in time for Christmas. Also, people are going to get busier as they will have family events and holiday parties to go to. From mid-October to mid-December, you’ve got eight to nine weeks that are a prime marketing and selling season for you and your business. You can serve a lot of people and help make holiday shopping easier by creating some fun experiences and different ways they can take advantage of your products, your solutions and your benefits. Remember, it’s all about creating unique experiences for your customers, hosts and team members. This is what will help you attract more of the right customers, sales, hosts and team members. When you have fun, get creative and help your customers have an enjoyable experience you can make this the best holiday selling season yet! 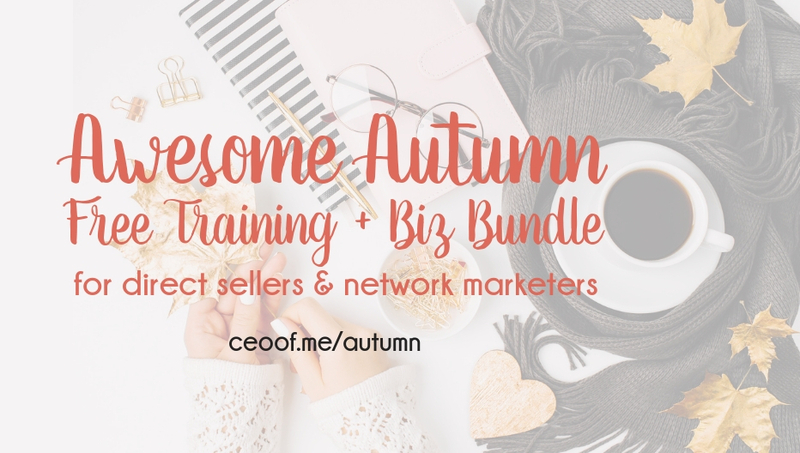 Sign up for my FREE Awesome Autumn Training & Biz Bundle here to learn the details on the following ideas for how you can market your business and take advantage of this holiday selling season. Charity Based Online and in Person Parties.